A point of view is a ten minute slot on Sunday mornings on BBC Radio 4. A sort of secular homily, it is usually fresh and intelligent. This week, though, it was Will Self, who put the case for a transfer of wealth from baby-boomer parents to over-indebted off-spring. ‘Let's give it all away... the massive advances we've taken on any future commonwealth’, he said. King Lear does this. He gives it all away. It doesn't end well. Quite why is open to debate. But the echo of Lear's folly on the radio last Sunday morning reminded me of the timeless universality of the meme that is Shakespeare. Whether we're conscious of it or not, the modern age is unthinkable without him. And if this is so in the main, it is even more to the fore in King Lear, where the darkness within all of us is illumined on the stage, the better for us to intuit the bounds of our own natures. Michael Pennington plays Lear at Manchester's Opera House, charting the course of the King's journey from sovereign hubris to abased humility. His presence on stage is never less than commanding, anchoring everyone else around him. A true lead, he projects superbly, even in the noisy ‘storm and tempest’ scene, such as defeated Don Warrington in the recent production of King Lear at the Royal Exchange. Such power and clarity from the lead role sets a high bar for the rest of the cast, especially in a large, boomy setting like the Opera House. Male players have the advantage here, finding an easier fit between dramaturgical demands and physiological ability, especially at the lower end of the emotional register such as predominate in King Lear. Edmund’s (Scott Karim) direct-to-audience delivery worked especially well, as frank acknowledgement of freely chosen perfidy. And Edgar’s (Gavin Fowler) accumulation of experience and roles, from credulous fop to eventual King, is no less convincingly articulated. For Goneril (Catherine Bailey) and Regan (Sally Scott) the challenge is huge, perhaps insuperable; to register icy iniquity in the back of the stalls, and to do so whilst still seeming composed and calculating. But challenges abound in King Lear. Indeed, one might go so far as to say that it doesn’t work at all when enacted. That which makes the play sublimely poetic in print is that which upends it on stage. There is simply too much going on: too many characters, sub- and double-plots, unexplained references, and obscure asides. A.C. Bradley says ‘King Lear is too huge for the stage’. Harold Bloom confesses to having ‘attended many stagings of King Lear, and invariably... regretted being there. Our directors and actors are defeated by this play.’ Whilst this is certainly not the case with Max Webster’s confidently luminous touring production, the question remains as to why we keep coming back to this most complex of tragedies. Why see it staged, as so many of us do, over and over again? Why persevere with mystery? Why burrow into this great text and borrow from the great critics, who tend to be as baffled as they are astonished by this magisterial work? The answer, for my money, is that Lear is more like us than we care to admit. His mystery is ours. He is to himself as we are to ourselves, most of the time, mostly unconsciously, and mostly without any good reason at all. He is the beating heart of the Romantic imagination that squats deep inside us, whether we intuit it or not. Indeed, a larger canvas still might be purposed; that of Freud, the most perceptive of Shakespeare’s readers, who understood modern selfhood as a struggle to wrest moral worth from amoral nature. That this is a damnably difficult thing to dramatize on the stage comes as no surprise (and begins to explain why all great art aspires to music), but the need is nonetheless a human universal that we can ‘reason not’, precisely because object and subject are so intimately, personally enmeshed. Of course, precisely the opposite case can be made; that if man is the measure of all things, nature must be shown the door. This is why for more than 150 years King Lear had a happy ending, playing to audiences throughout the eighteenth century who shared, we presume, Dr Johnson's approval of ‘the final triumph of persecuted virtue.’ But in the sobering aftermath of the Napoleonic era tragedy found a new audience. Charles Dickens was thus delighted to see the original return to the West End stage and Nahum Tate's ‘disgusting version’ consigned to the dustbin of history. Not that this pleased everyone. Tolstoy was famously grumpy about Shakespeare in general, and King Lear in particular, finding the disjuncture of truth and virtue too much to bear, though perhaps also finding too many uncomfortable parallels between his own bilious intemperance and that of Lear. 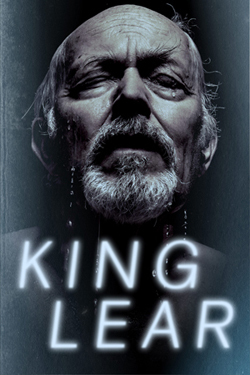 Such vast, cosmic themes account for the enormity of the challenge that is King Lear. Getting even half way toward an understanding of what is being enacted demands, it seems to me, at least a basic familiarity with the text itself. Like any great work of art, a bit of reading goes a long way. And with that under one's belt, Michael Pennington can rightly be seen as a first rate Lear, to which we return again and again, because we must.